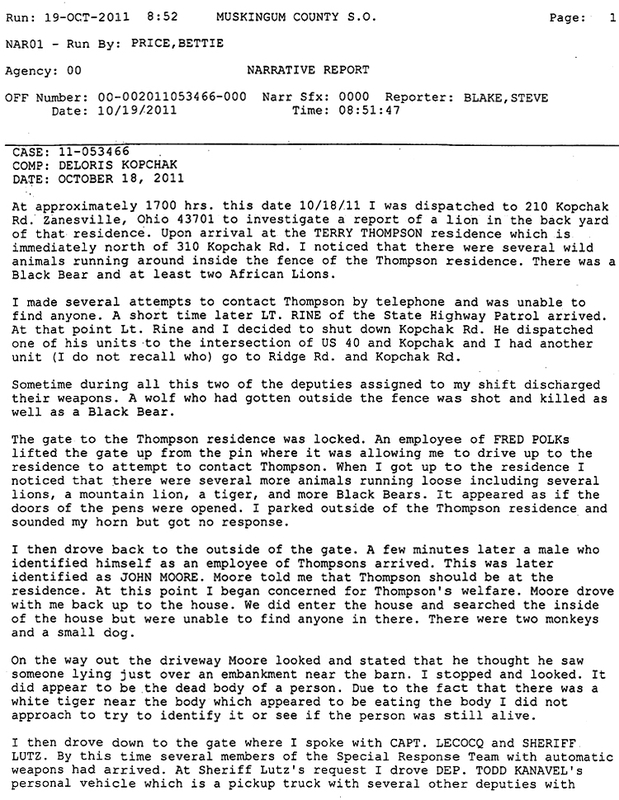 NOVEMBER 4--Police reports released today detail the chaos caused after an Ohio man last month released dozens of wild animals from their cages, forcing deputies to kill fleeing tigers, bears, lions, and wolves. 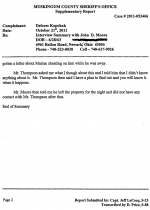 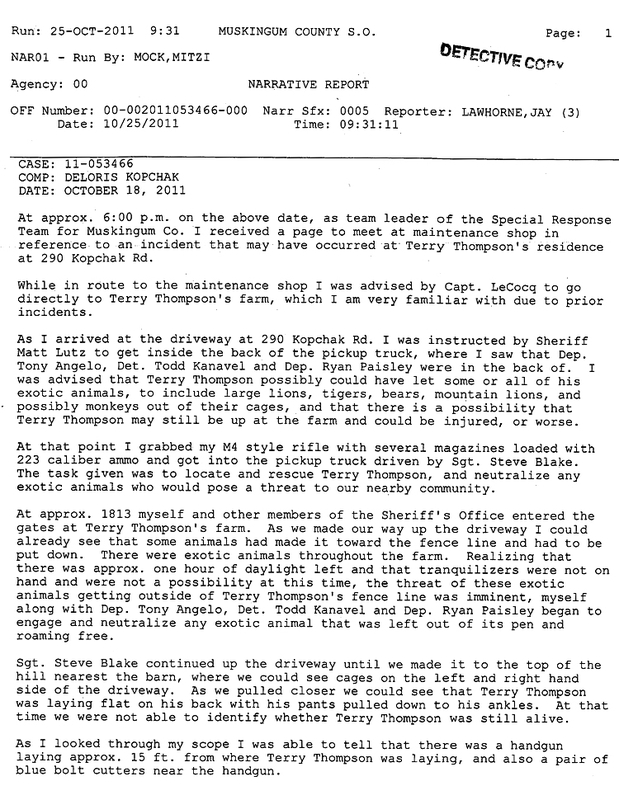 The Muskingum County Sheriff’s Office reports provide a vivid and scary account of what transpired after Terry Thompson used a bolt cutter to free the exotic animals from enclosures on his Zanesville property. 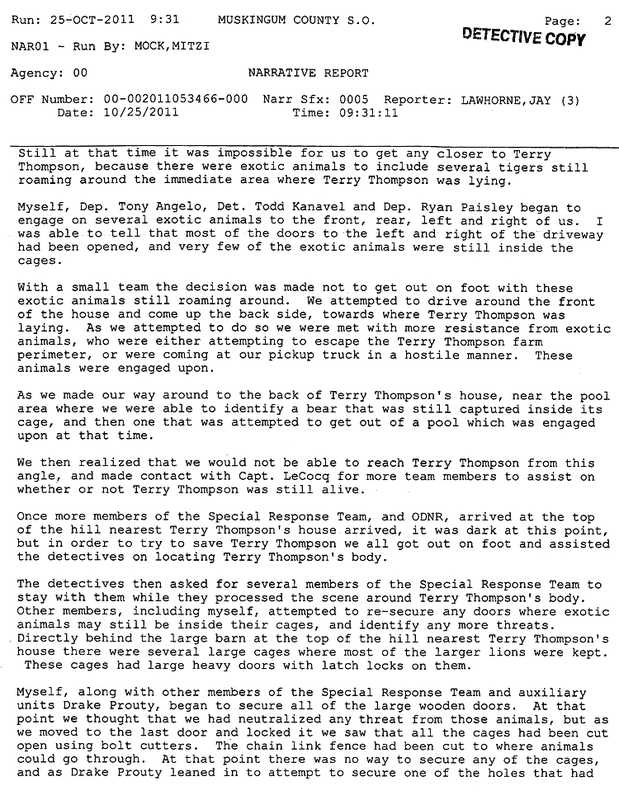 With his pants pulled down to his ankles, Thompson, 62, was found dead near some animal cages. 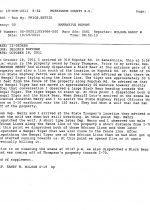 Nearby, deputies reported, a handgun and pair of bolt cutters were found on the ground. 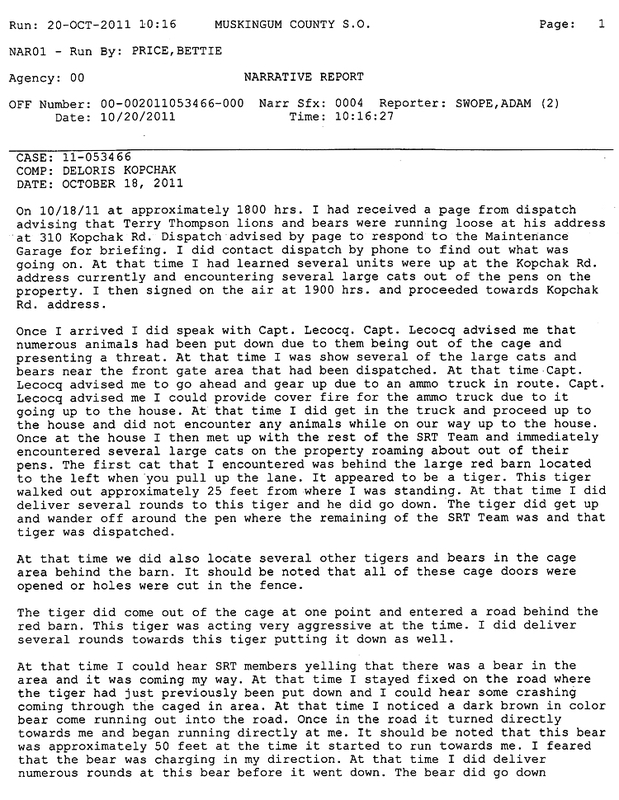 When deputies first arrived at the 73-acre property a white tiger “appeared to be eating” Thompson’s body. 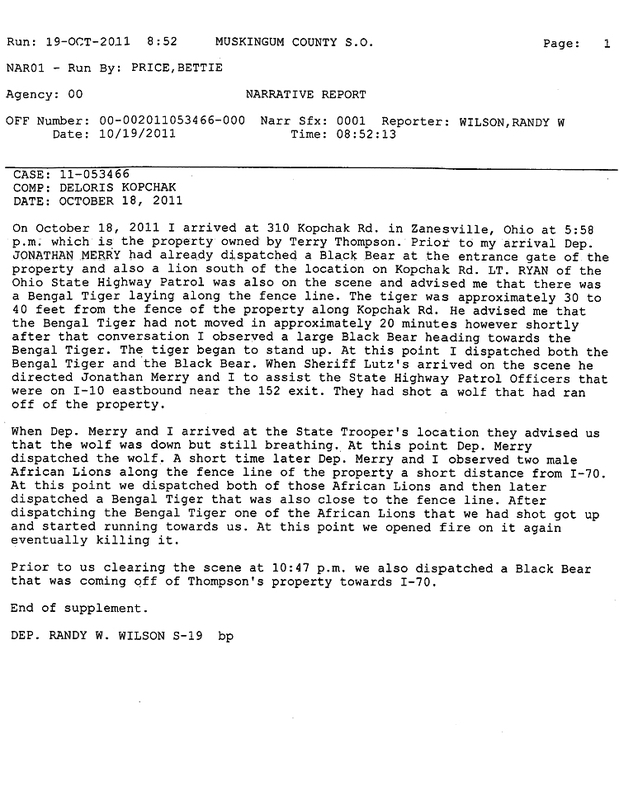 After a fire department member spotted a “moving object” with a thermal imaging camera, Wilson and Deputy Jonathan Merry “found it was a Grizzly Bear attempting to exit the area.” Both deputies opened fire, killing the animal. 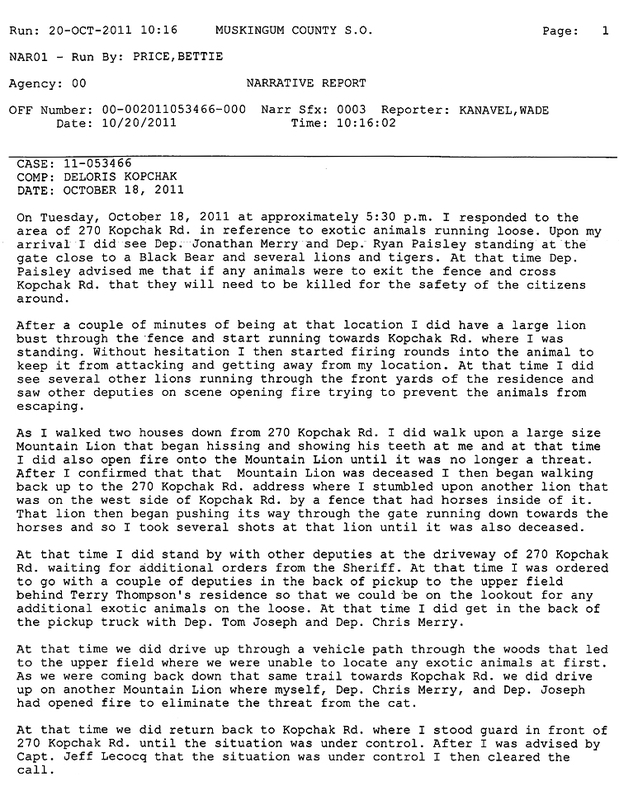 Minutes after arriving at the Thompson property at 5:30 PM on October 18, Deputy Wade Kanavel had “a large lion bust through the fence and start running towards Kopchak Rd. 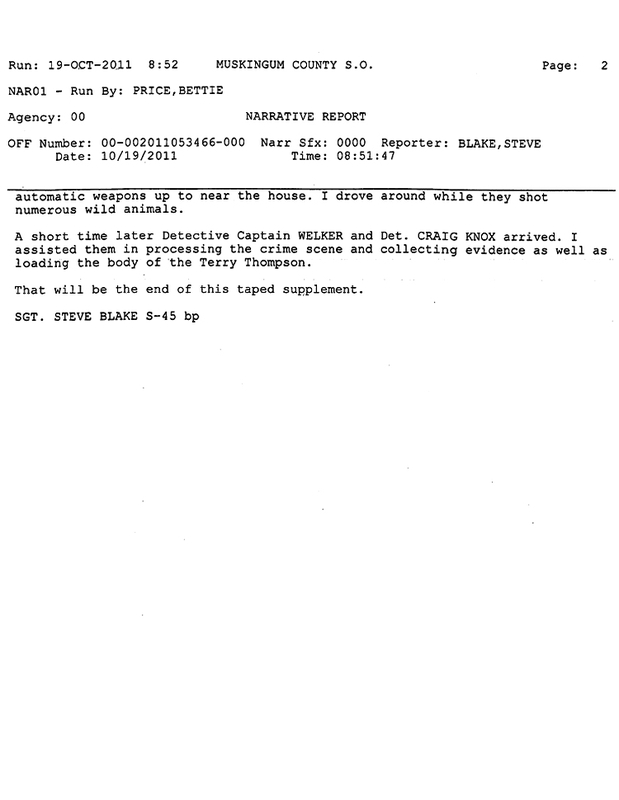 where I was standing. 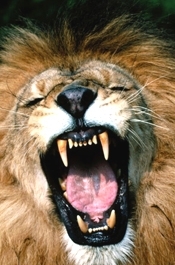 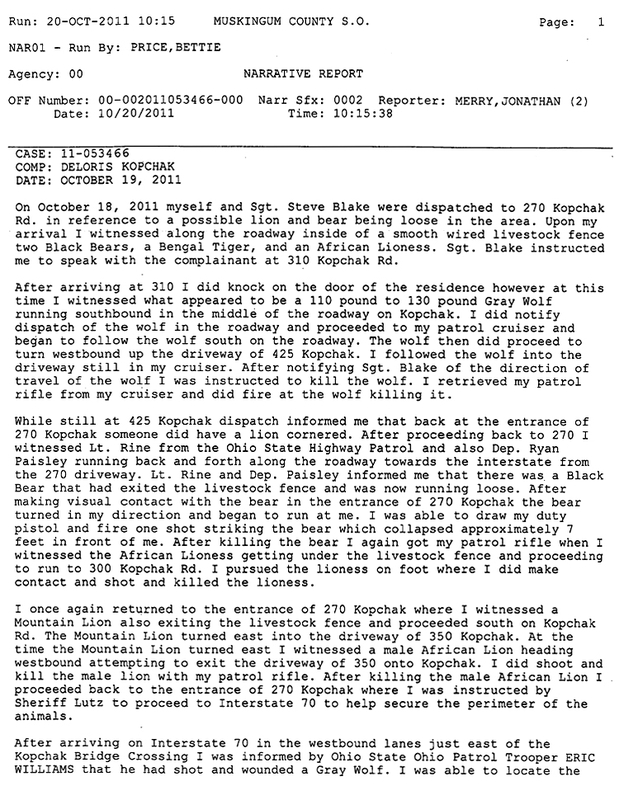 Without hesitation I then started firing rounds into the animal.” Kanavel later shot a mountain lion after it “began hissing and showing his teeth to me.” He would subsequently shoot two more lions. 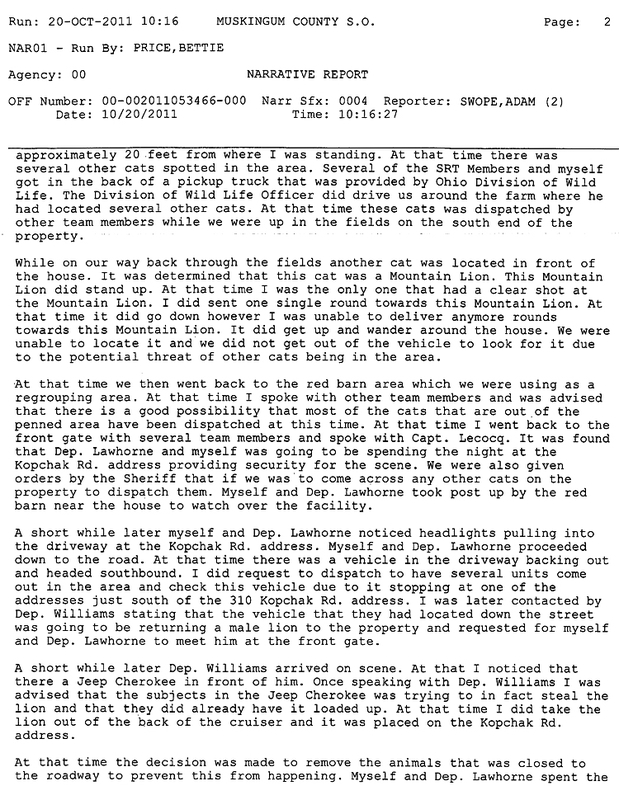 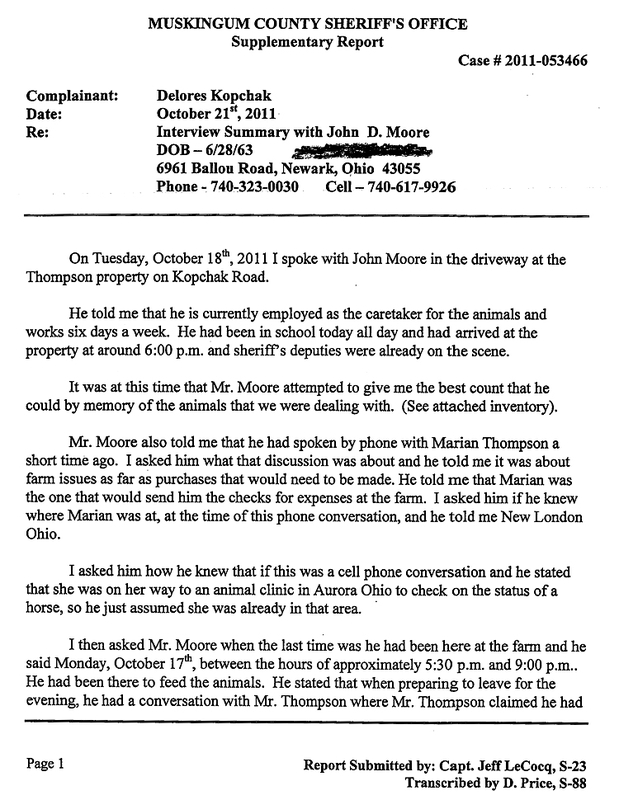 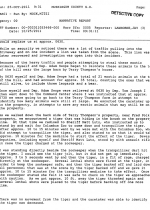 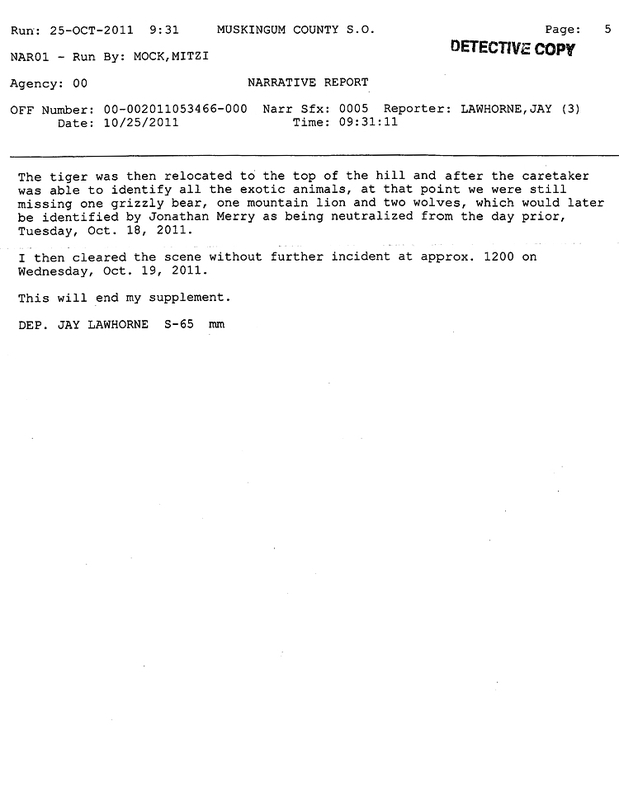 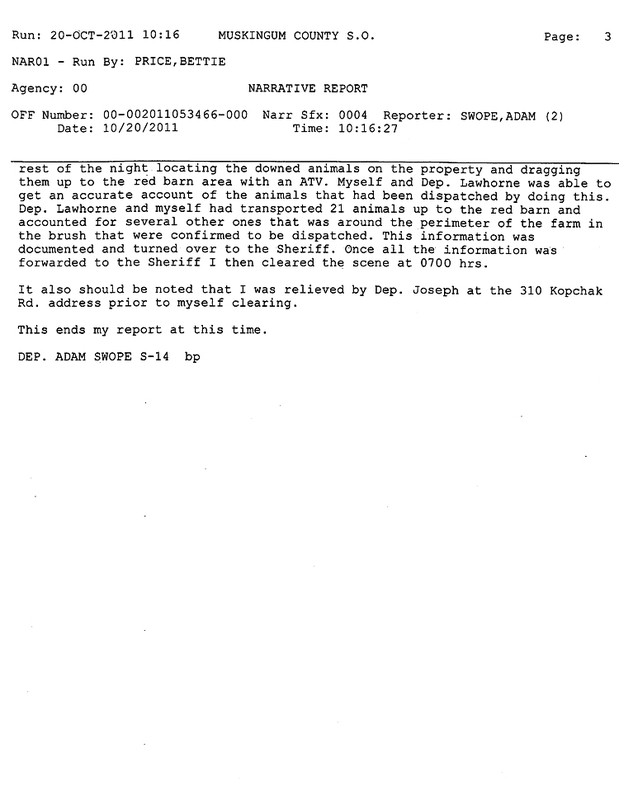 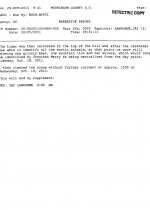 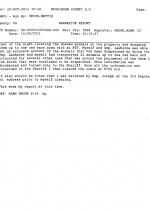 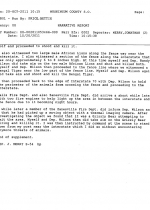 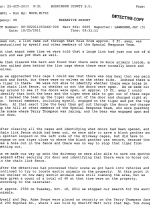 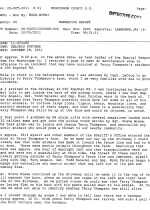 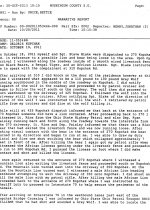 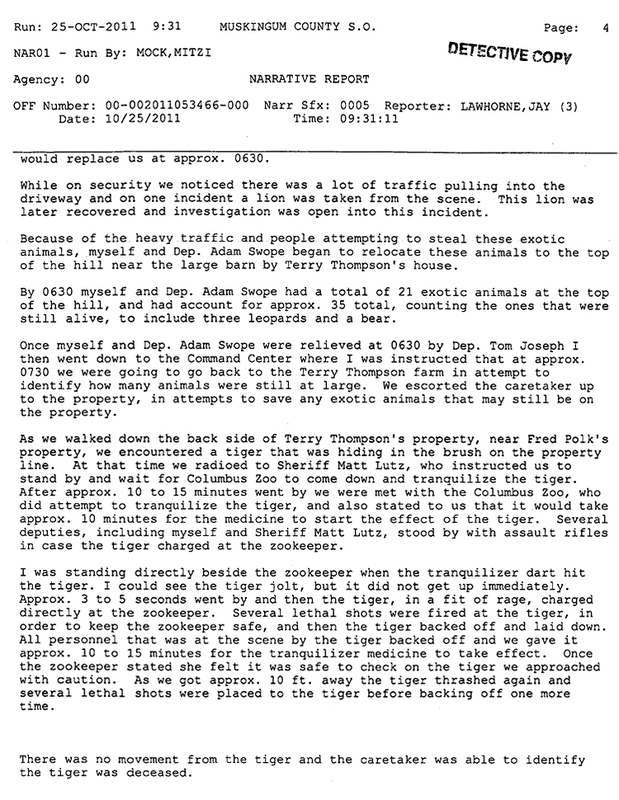 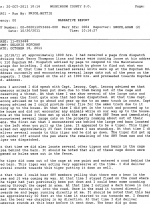 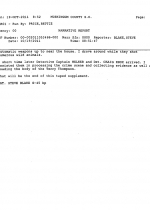 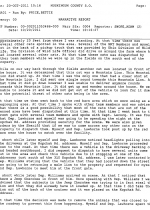 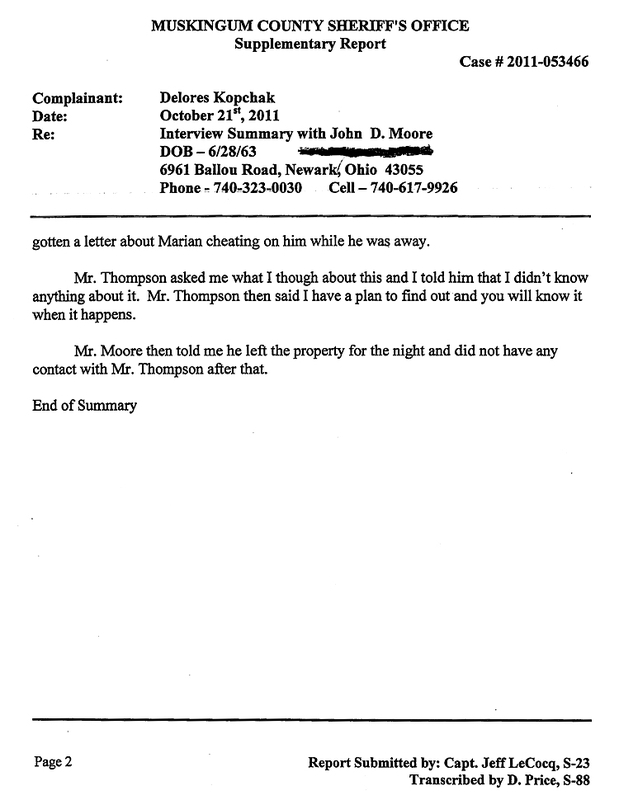 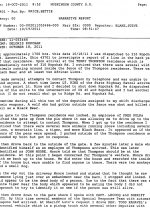 Remarkably, the documents also disclose that deputies were forced to move animal corpses to the top of a hill on Thompson’s property due to “the heavy traffic and people attempting to steal these exotic animals.” In fact, as Swope reported, the occupants of a Jeep Cherokee had actually “loaded up” the body of a lion that had been shot by deputies. 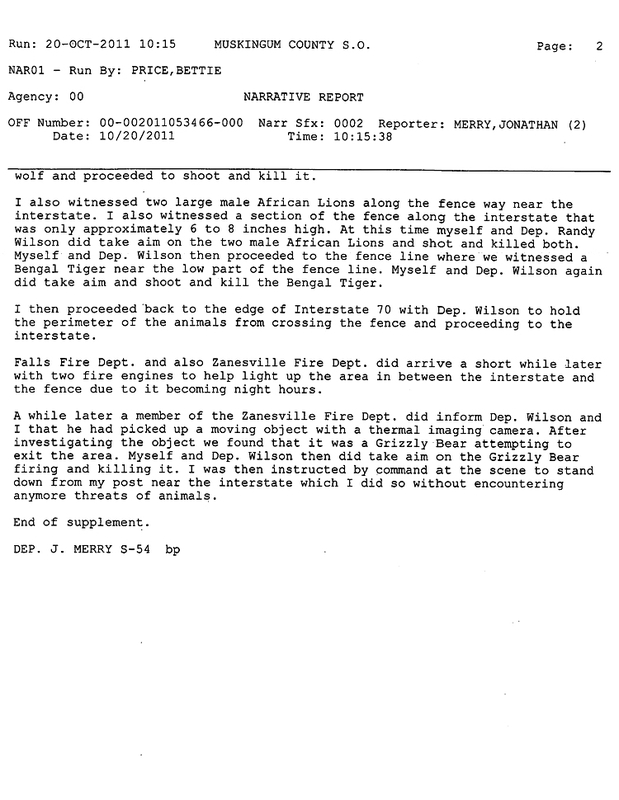 “This lion was later recovered and investigation was open into this incident,” reported Deputy Jay Lawhorne. 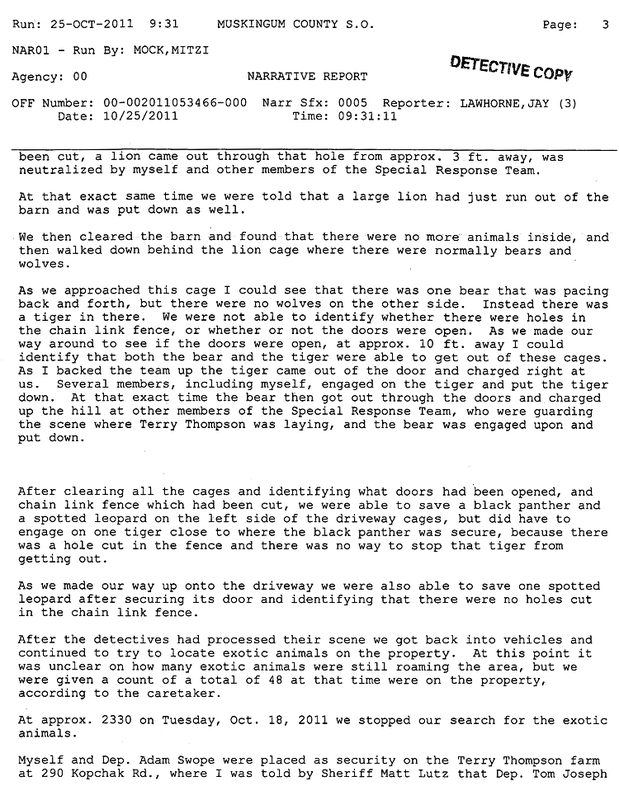 The suspects in the attempted lion theft are not identified in the sheriff’s reports, nor do the documents shed light on why the suspects wanted the animal carcass. 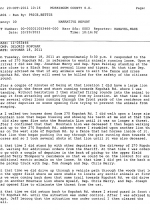 Another Week Of TSG's "Occupy Jail Cell"